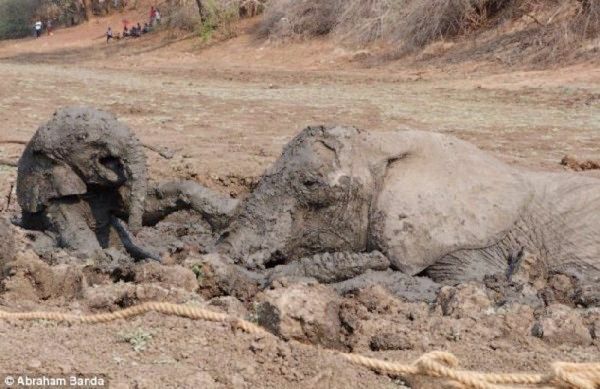 Trapped in a muddy pit and exhausted from their struggle to survive, a mother elephant and her daughter were facing certain death. Then, a miracle happened, thanks to the compassionate people who saw the elephants' struggle and made the decision to save them. 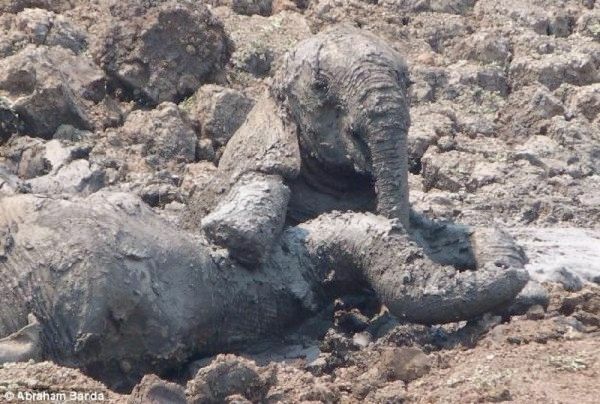 Tourists and staff at the Kapani Safari Lodge watched in horror as a baby elephant and her mother tried desperately to free themselves from a mud lagoon. 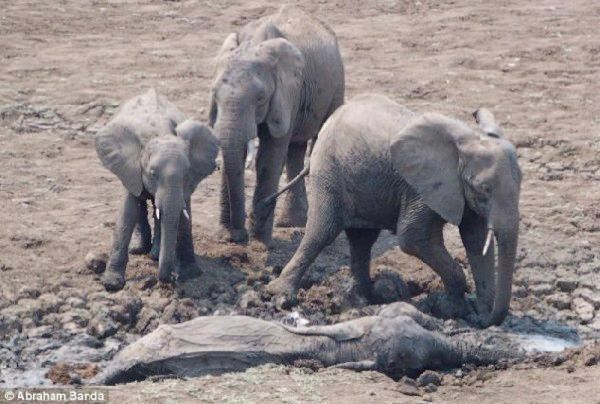 The baby had apparently fallen in, and the mother elephant also became trapped as she tried to rescue her calf. Other elephants from the herd stood around the lagoon and cried for their herd mates. Although most conservationists believe it's best to not interfere with nature, the witnesses to this tragic scene could not stand by and do nothing. 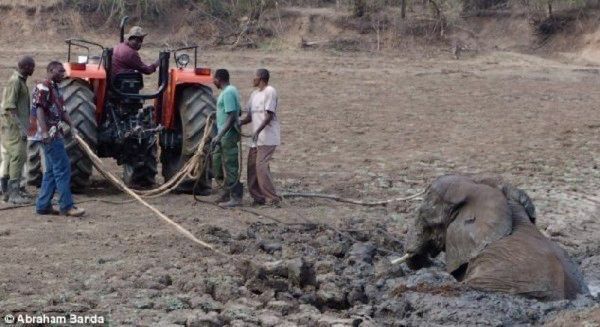 The elephants were in danger, and the longer it took to free them, the faster the mud would dry, at which point it would be nearly impossible to save them. 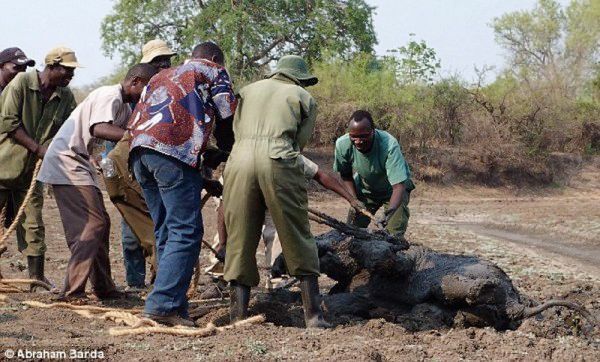 The South Luangwa Conservation Society and local wildlife authorities formed a plan, and the rescue mission began. The men slipped a rope around the baby elephant, and after some time, managed to free the calf. 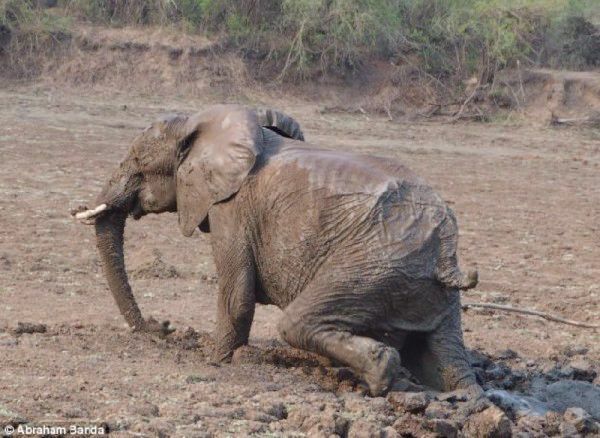 But the baby was so desperate to be with her mom that she became stuck in the mud again. Witnesses said that the baby was crying out to its mother, while the mother, exhausted from trying to save her baby, seemed to give up. Finally, the baby was pulled free again and raced to rejoin her herd. Then the men faced their biggest challenge: freeing the mother elephant. 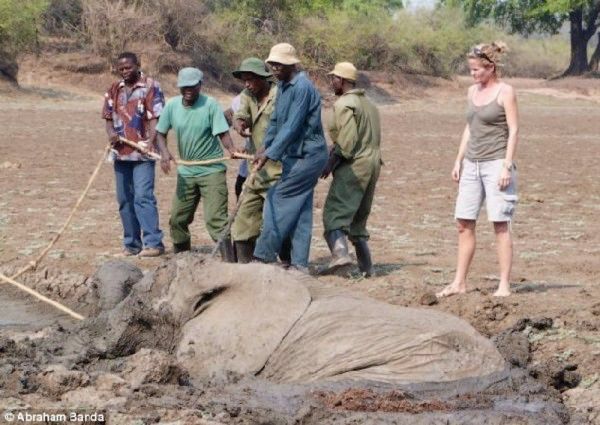 The mother elephant was so tired from trying to save her baby and her self that she couldn't help the men remove her from the muddy pit. So the rescue team wrapped a rope around the mother, and a tractor was brought in to slowly pull the mother to freedom. Sensing that she had a chance to escape, the elephant found a burst of energy and struggled to get out of the lagoon, all the while crying for her baby. 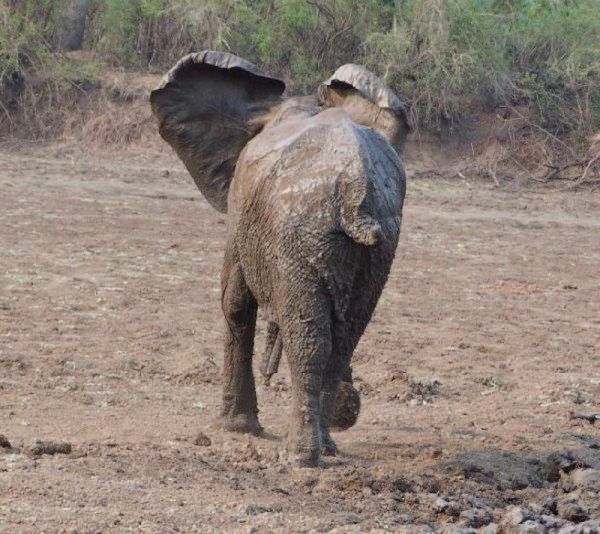 Weak and wobbly, she emerged from the mud and rejoined her baby and herd. According to CNN, the Kapani Safari Lodge staff reported that it was "heart-warming to see how many local people joined in the efforts to free the two elephants...it was the happiest possible ending." Thanks to the care and concern shown by the conservationists and tourists, these two elephants were saved. Help spread the word on compassion for animals and share this incredible story with your family and friends on Facebook!